At long last, now we really know what the fox says. 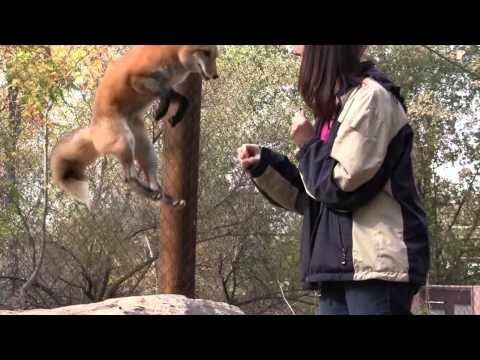 This bouncy fox, whose name is Loki, came to the Turtle Bay Exploration Park, a museum complex and botanical garden in California, after he was orphaned at six weeks old, and was raised by the handlers there. According to the park's YouTube page, they wanted to show people what kind of sound a fox really makes, in response to the popular Ylvis song.